In 2013, leaders of the North Island iwi Ngai Tuhoe signed an historic settlement with the Crown that promises to end a century and a half of injustice, animosity and mistrust. At the heart of the settlement is control of the mountainous region known as Te Urewera, the vital core of Tuhoe aspiration and identity. 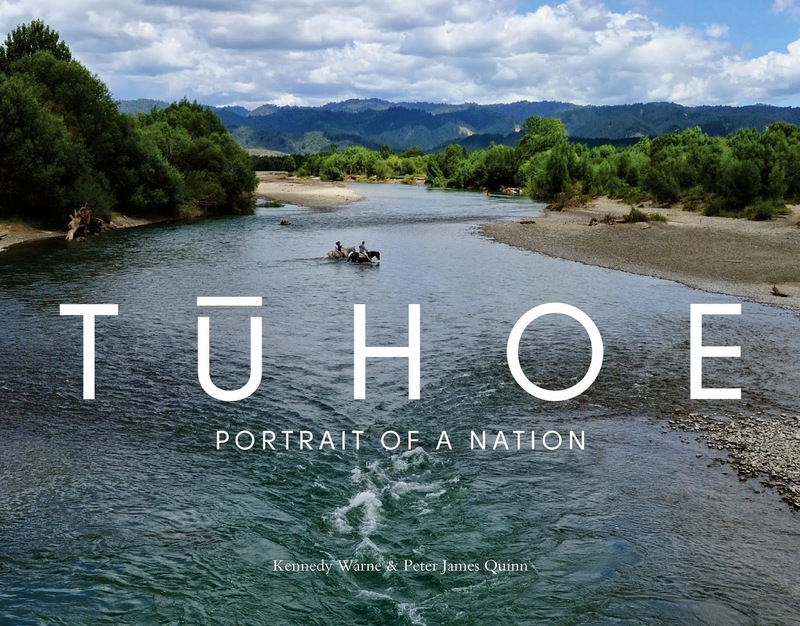 Tuhoe: Portrait of a Nation explores the relationship between Tuhoe and Te Urewera, the people and the land. It is the result of a multi-year project by acclaimed documentary photographer Peter James Quinn and Kennedy Warne, founding editor of New Zealand Geographic. The two journalists circled the 'encircled lands' – the tribal domain that stretches from the forest fortress of Lake Waikaremoana to the coastal valleys of the Bay of Plenty – and collected the stories of Tuhoe. From tribal leaders to possum hunters, traditional healers to tourism operators, Tuhoe shared their words, their culture and their lives. At once an exquisite photographic showcase – incorporating dramatic landscapes, documentary-style reportage and portraiture – and the most up-to-date retelling of Tuhoe history, here is a portrait of an iwi and its encounter with a unique and treasured land. Listening to the past through the voices of today, the book asks, and answers, the question: What does it mean to be Tuhoe? Peter James Quinn was born in Te Aroha, his family later moving to the Eastern Bay of Plenty. He studied photography at Wellington Polytechnic in 1989 and upon graduation photographed the book Staunch: Inside New Zealand's Gangs (text by Bill Payne; Reed, 1991). In 1993 he began contributing to New Zealand Geographic magazine and has produced more than 40 features on a range of topics from home birth to New Zealand peacekeepers in Bougainville. His photographs have been included in numerous exhibitions in museums in New Zealand and overseas. His second book, Highway 35: Travels around East Cape (text by John Woods; Reed, 1998), was a finalist in the Montana NZ Book Awards, and a twenty-year retrospective, New Zealanders in Focus (Kowhai Publishing, 2010), was included in the New Zealand Listener's top 100 books of 2010.